When we talk about Arabic lettering, khatt, the images that first come to mind are of beautiful Arabic calligraphy, expressive, ornate, sophisticated and well-crafted. During the Pharaonic times, writing was considered the language of the gods, and writing in the Middle East still retains this spiritual connection to the invisible and divine world beyond. Arabic calligraphy remains the Arab and Islamic world’s most venerated art form, one that is steeped in spirituality and magical powers. On the other hand, when we think of the Egyptian landscape, a very different image is evoked; an image of spontaneity, urban sprawls and vernacular graphics of all kinds. Combining these two contradictory images of controlled beauty versus the mishmash of vernacular lettering and signs creates an interesting representation of Egyptian popular culture. Rather than focus on the aesthetic beauty of the craft of Arabic calligraphy, this book attempts to examine and underline the social and symbolic power of Arabic lettering, and to bring to light its integral role in the construction of a contemporary Egyptian visual culture. Here we discover a written urban landscape—at times static and at other times ‘on the move’, but always expressive and powerful. independently from the meaning of the written text. The lettering is often wonderfully imperfect, versatile in composition and form. The lettering gives the impression of speed while being carefully and slowly drawn. The texts are eroded and affected by the natural elements and this lends them an aging grace and liveliness. The visual aspect of the letterforms is sometimes dictated by the material, built rather than drawn, and at other times, they simply follow organically and spontaneously the shapes of the surface on which they are written, filling every possible space. Hand-painted lettering and signs in Egypt (and the Arab world) are valued for their authenticity, inspire a sense of awe and command respect. They bring back a sense of nostalgia and a longing for idealised bygone times—namely, the pre-digital eras since the 1950s—when ‘modern’ mass media employed calligraphers to create newspaper headlines, lettering for shop signs, movie posters, advertising billboards, product ads, magazines and book covers. The diversity and availability of typefaces for typesetting then were limited (and still are relatively speaking), but the supply of skilled calligraphers was abundant and their creativity in devising innovative and freespirited styles was liberal. This lettering landscape constitutes a living record of Egypt’s popular visual culture. It is a visual heritage that is slowly disappearing from contemporary Arab culture, and with it the graphic lessons it embodies go undocumented and eventually become extinct. To document, analyse and pass on this knowledge to the generations that follow is crucial to the progress of future graphic culture in Egypt and the Arab world. The wealth of Egypt’s calligraphic landscape, as glimpsed through the images and texts in this book, testifies to the great significance of lettering to the lives, aspirations and beliefs of the people that inhabit this landscape. In this book, we are made to experience the power of written texts, their meaningful role in everyday life, and how they transform the public realm into a platform for cultural and personal expression. Khatt today presents the perfect challenge for balancing contemporary cultural identity with centuries of traditions and conventional beliefs, offering a means to build the present (and future) upon a solid past. 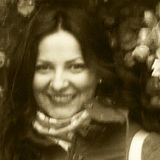 DR HUDA SMITSHUIJZEN ABIFARÈS is the Founding Director of the Khatt Foundation and Khatt Books publishers. Based in Amsterdam, her professional, cultural, and educational activities extend from the US and Europe to the Arab world. She holds degrees from Leiden University (PhD, 2017), Yale University (MFA, 1990), and Rhode Island School of Design (BFA, 1987). She is a member of AGI (Alliance Graphique Internationale) since 2015. She specialises in multilingual typographic research and design. She has published several articles and books on this topic. She supervises PhD candidates at Leiden University’s Arts Program and works as design curator, writer, designer and publisher. Trucks, lorries ----------- tuk tuks, taxis ----------motorcyles, more trucks ----------- a horse and carriage ----------- fishing boats, canoes, yachts buses and mini-buses --------------------------------------------Vehicle after vehicle passes us on the road carrying passengers and cargo ----------------------traversing an endless multitude of paths and directions --------------- Their adornment weaves an ephemeral tapestry of portable words of wisdom --------------- talismans and prayers ----------- giving us a glimpse into the drivers’ beliefs, fears and desires. T E X T ‫كـــــــــــــــــــــــــــــالمــ‬ S E L L S ‫إعالنـــــــــــــــــــاتـــ‬ For sale ------------ get it here ------------- shops services, street carts ------------ a new dress a kilo of fruit ------------ hot food, cold drinks fast service ------------ we have it all -------------Doctors, lawyers, plumbers, teachers, cinemas, coffee, hotels and ice-cream, ------------------------- this is what the street sells and how the city speaks. Egyptian cities and villages abound with an enormous wealth of khatt, or calligraphic script, ranging from casual scrawls and scribbles to elaborately-painted colourful murals. These historical and contemporary versions of urban lettering, varying in surface, medium and technique, adorn mosques, shop-fronts, houses, trucks, boats, schools, tuk-tuks and walls. They are records of human existence, documenting expressions of hope, fears, dreams and anxieties. Featuring beautiful and unique examples of these written expressions, Khatt is an extensive visual documentation of the found typography and calligraphy in Egypt, a calligraphy hub that possesses a rich tradition of education and production in the field. This timely volume records the traditional craftsmanship of hand-painted calligraphy, which is fast disappearing because of the digitisation of the Arabic script. 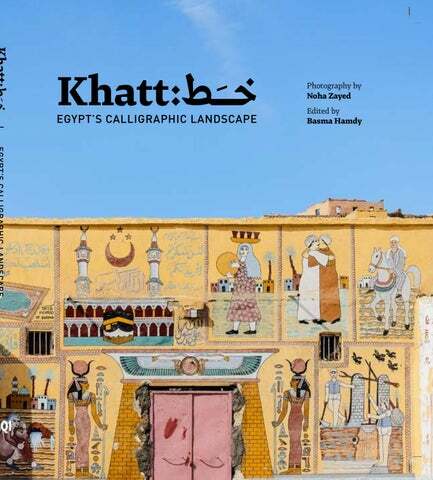 Spanning cities across Egypt, and highlighting the history of Arabic script in the country, Khatt is a rich visual source-book, vital for designers, artists and enthusiasts. NOHA ZAYED is a photographer and creative entrepreneur based in Cairo, Egypt. She co-curates the highly popular Instagram account ‘Arabic Typography’. Zayed has exhibited in festivals across the Middle East such as Dubai Design Week and the Sharjah Calligraphy Biennial.